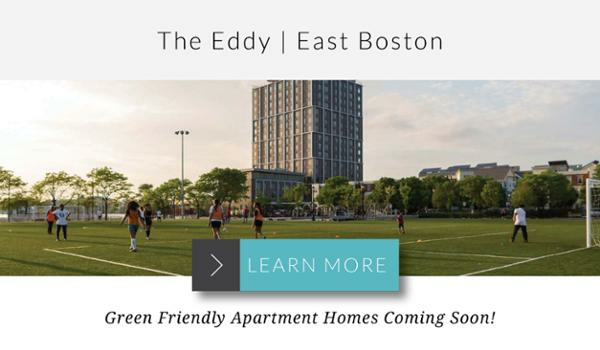 The Eddy is the newest waterfront living opportunity in East Boston with stellar views of Boston Harbor and the city skyline. The homes feature upscale and energy-efficient finishes with LED Lighting, Nest thermostats, and more. Set on nearly four-acres, the building focuses on the green lifestyle with a watertaxi landing, abundant parks and boat landing access. Within the building, all the luxury amenities you would expect can be found including a fitness center, restaurant, lounge with meeting space, and more. The building is also pet friendly with a dog washing station. See floor plans and additional photos as well as sign up to be the first to get new information HERE. ← Charlestown 2 Beds Under $800K!